The grand winner and champion of the showtime's the funny one is no other than Ryan Rems Sarita with video replay. The 5 grand finalists are composed of the following: the lovable father-son tandem Crazy Duo, veteran radio talent Gibis Alejandrino, Dabawenyo trio No Direction, stand-up comedian Ryan Rems Sarita, and the last but not the least the wildcard winner Nonong Ballinan. Rock in Roll the World! Ryan Rems won P1 million for the grand prize. The five 'komikeros' tried to impressed jurors Herbert Bautista, Joey Marquez, director Frasco Mortiz, and Richard Gomez and Dawn Zulueta with their jokes and antics to entertain the madlang people. Ryan Rems Sarita, who is known for his funny monologues and signature catchphrase “Rock & Roll to the World,” beats four other comedians including Crazy Duo, Gibis Alejandrino, No Direction and Nonong Ballinan. Congratulations to the Top five Funny One. 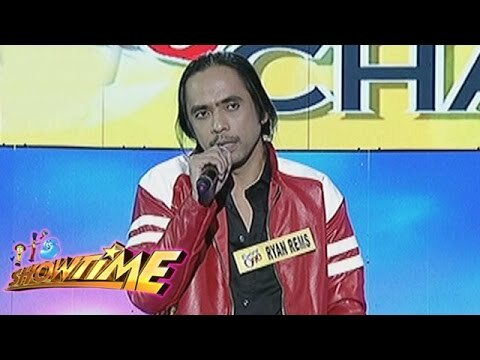 This post is all about the grand final results of the funny one with video for showtime ABS-CBN winner and champion no other than Ryan Rems.